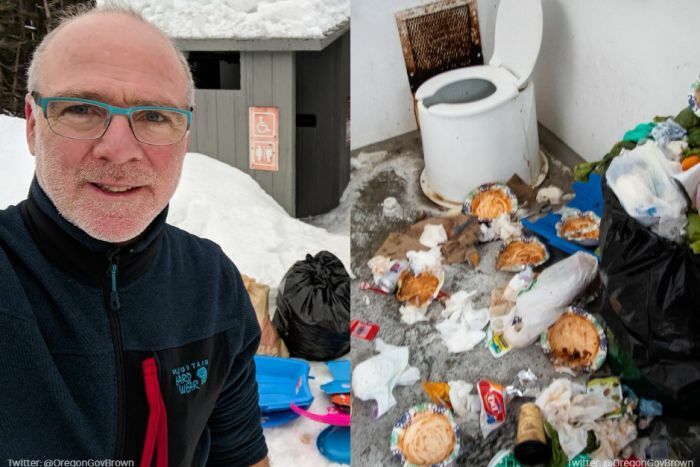 US President Donald Trump has been sent a bill for the cleaning of bathrooms at a popular national park by the husband of the Governor of Oregon, who removed a mound of rubbish by himself. 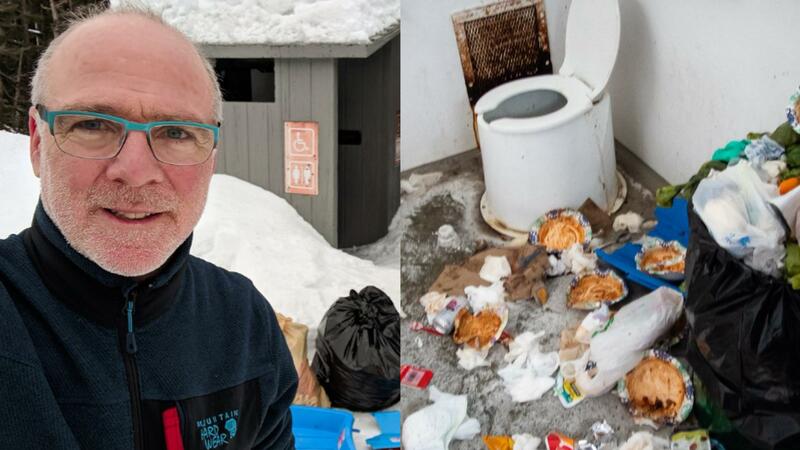 Food scraps, used nappies, wrappers and plastic bags were among the heap of waste that spilled from a bin across toilet facilities at Mt Hood National Forest Sno-Park, in Oregon, and had pilled up as there were no staff around due to the ongoing government shutdown. Oregon Governor Kate Brown shared images of the cleaning done by her husband Dan, and an invoice addressed to Mr Trump to cover the $US28 fee he was charged to dispose of the garbage left in the toilets. He appears to have removed at least four bags of rubbish and some on social media were suggesting he should have upped his bill to include labour and tax costs. It is one of the many ways the partial shutdown is affecting everyday life across America, with economists estimating it has already cost the US economy $4.9 billion so far. An estimated 800,000 US government workers are not able to work, causing havoc at many of the country’s popular national parks. Human faeces, overflowing garbage and illegal off-road driving in fragile areas have started to overwhelm some of the iconic national parks, which have been left without most of the rangers and others who staff campgrounds and maintain facilities. Earlier in January, campers at Joshua Tree National Park in Southern California’s deserts spoke of squabbles as different families laid claims to sites, with no rangers on hand to adjudicate. Local business owners who depend on tourists stepped into the gap as much as possible. They too had been emptying overflowing bins and sweeping and stocking bathrooms that remained open. Gift shop owner Ethan Feltges had set up a portable toilet for the visitors still streaming in and out of the park. Under the shutdown plan, authorities have to close any area where garbage or other problems become threats to the health and safety of humans or wildlife. But that has not stopped visitors from going to national parks. 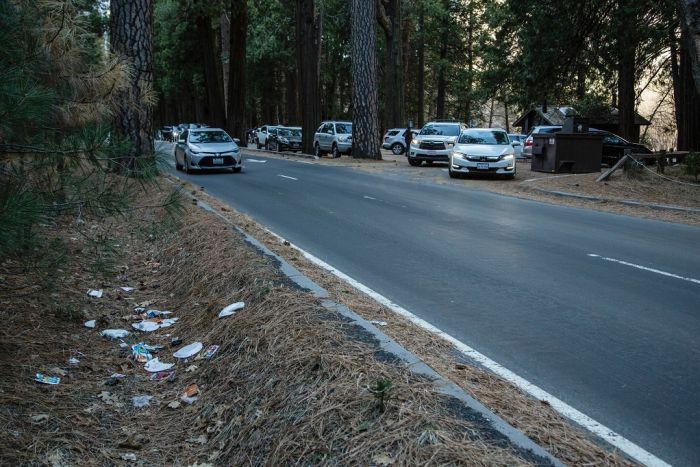 At Yosemite, crowds were driving into the park to take advantage of free admission, local resident Dakota Snider said. “It’s so heartbreaking. There is more trash and human waste and disregard for the rules than I’ve seen in my four years living here,” Mr Snider said. He said people had unleashed dogs and allowed them to run freely and were leaving bags of rubbish along the side of roads.